Some of you may have missed my June Foodie Pen Pal reveal post this past Saturday (I know I was barely tuned into the “blog world”, it was so lovely outside! ), so make sure you check it out when you get a chance. Sarah of Adventures With My Boys! 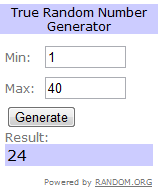 Thank you for entering, Sarah! 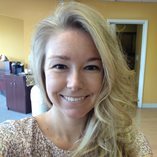 I will contact you to find out which “version” of the prize you’d like! 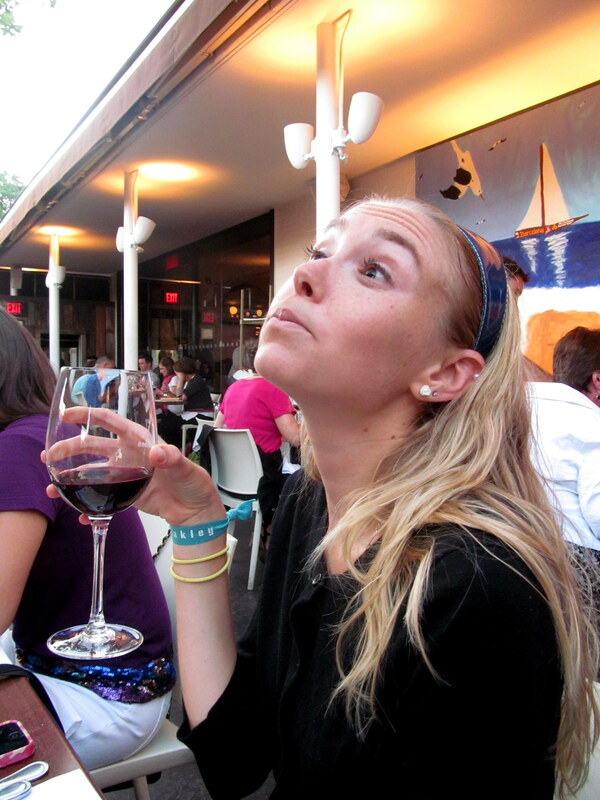 I OF COURSE have a foodie/wino event to recap for you today (sorry Pavement Runner but prepare to get hungry and thirsty). 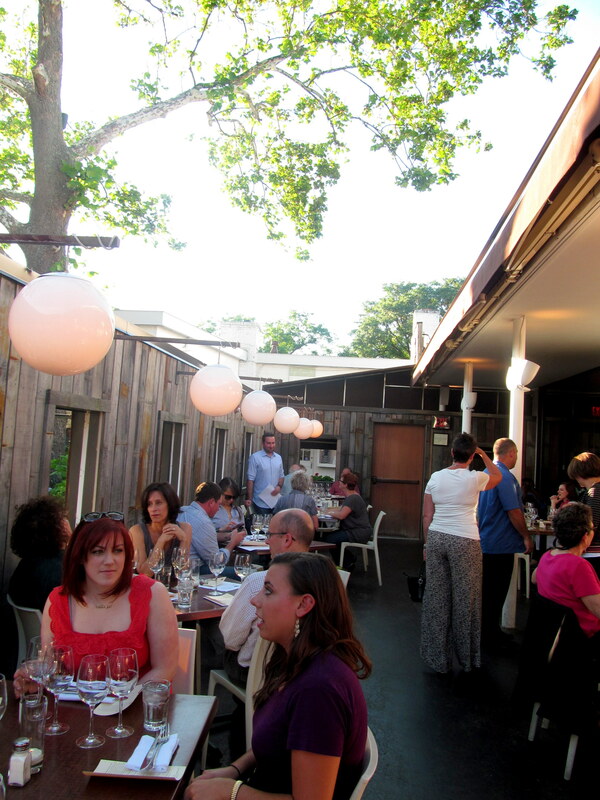 This one was held last Wednesday evening on the patio of Barcelona Wine Bar in West Hartford. 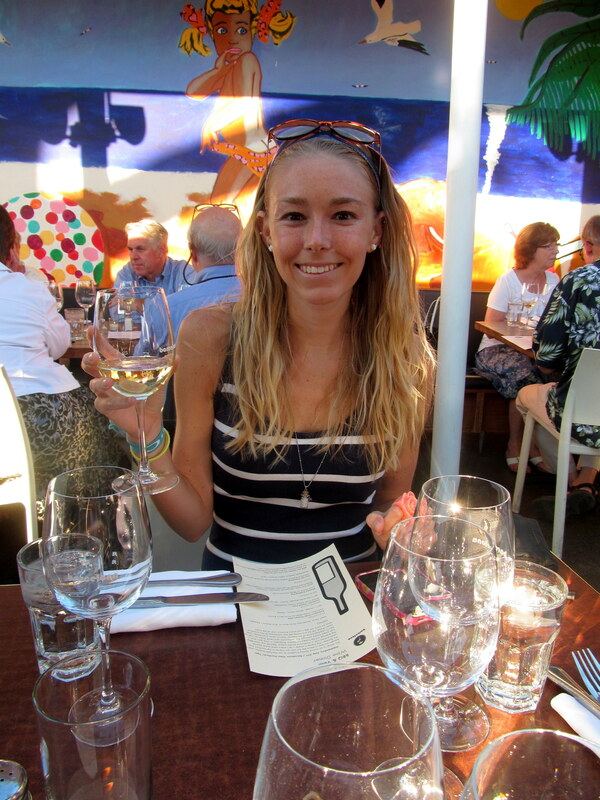 Their delicious food and drinks have made appearances on the blog before! 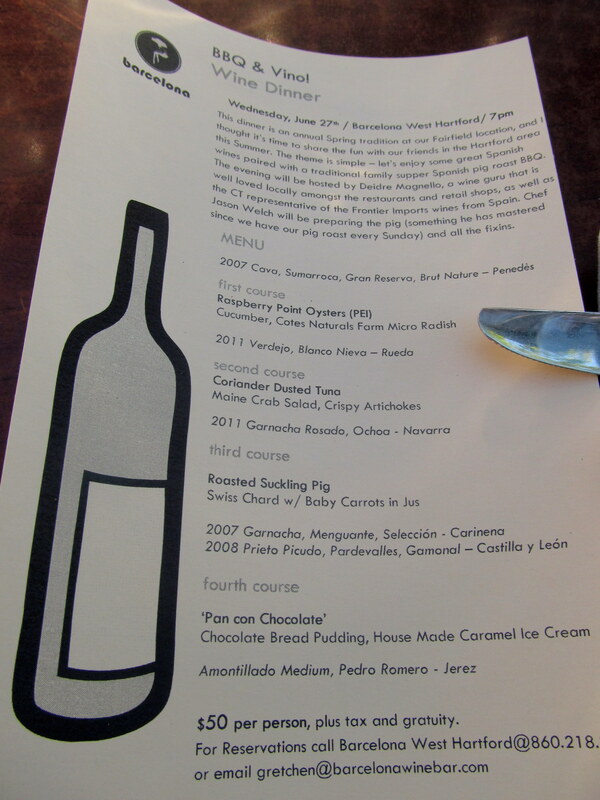 The wine dinner had a self-descriptive name – BBQ & Vino! Chef Jason Welch prepared the pig, and Barcelona’s Wine & Spirits Director, Gretchen, paired each course with some fantastic wines. I attended the event with Jeff, and we sat with four of my friends from high school. 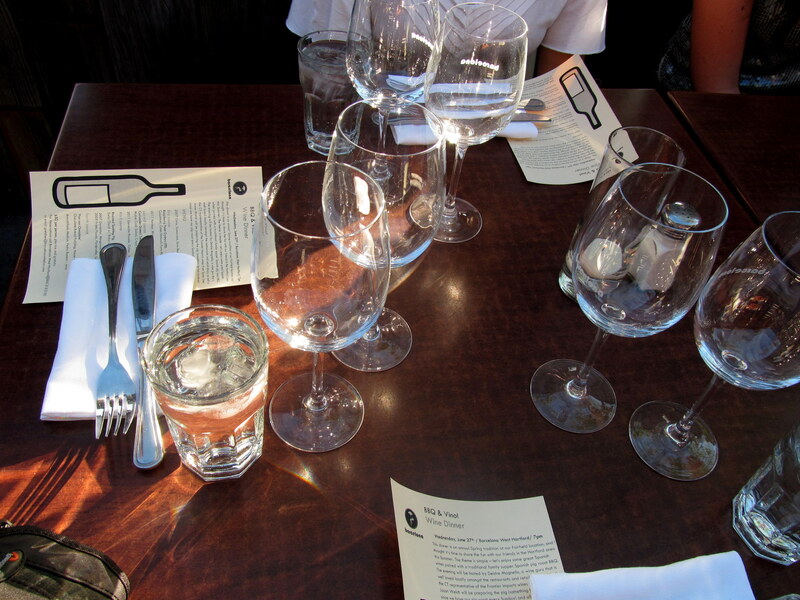 Upon sitting, we were immediately poured a glass of pre-first-course wine. Yup, there would be NO shortage of vino, I was sure of that. 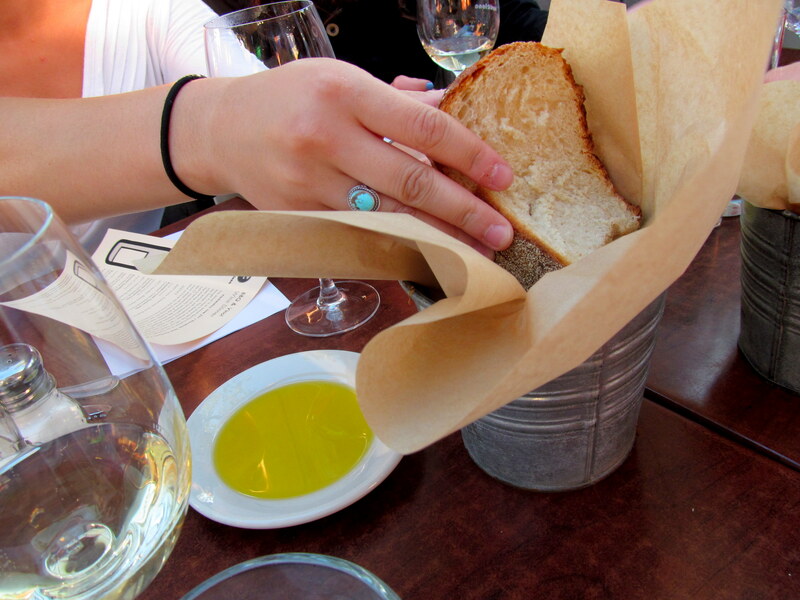 We also requested some of Barcelona’s out-of-this-world crusty bread with olive oil and balsamic. The wine, a 2007 Cava, Sumarroca, Gran Reserva, Brut Nature – Penedes, was surprisingly enjoyable to me. It wasn’t too bubbly or sweet and I liked it a lot with the bread. Definitely a relaxing pour to sip on before the main event began. My only oyster experience up to this point had been at Max Fish’s Oysters and… event, and I wasn’t the BIGGEST fan of the raw version. However, I was up to trying them again. 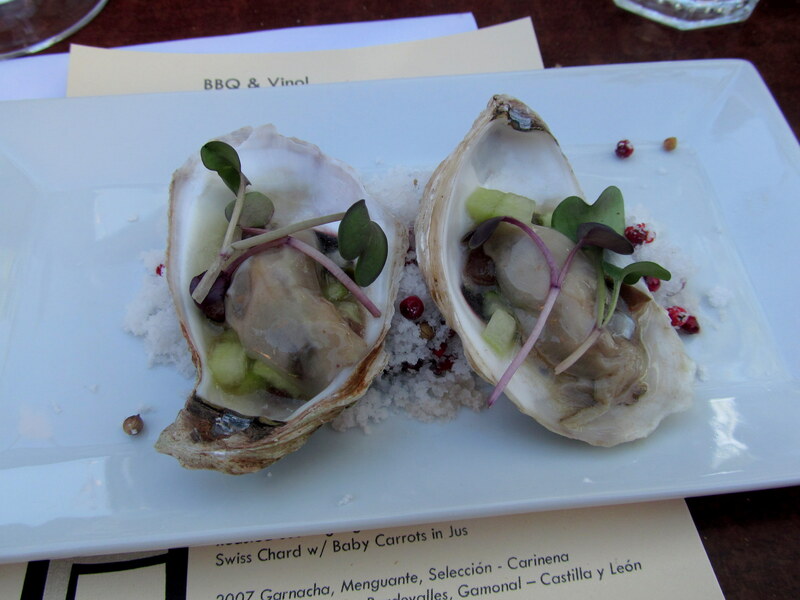 Course One consisted of Raspberry Point oysters with cucumbers and micro-radish from Cotes Naturals Farm (of Bristol, CT!). The presentation was gorgeous – served on a bed of sea salt (very fitting for these ocean dwellers). My first shooter was unsuccessful because I got a whole lot of oyster, but not a lot of anything else. My second was a much more complete taste of everything. While I do appreciate oysters and the great care that went into choosing their accompaniments on this dish, I still have to say that raw oysters just might not be for me! 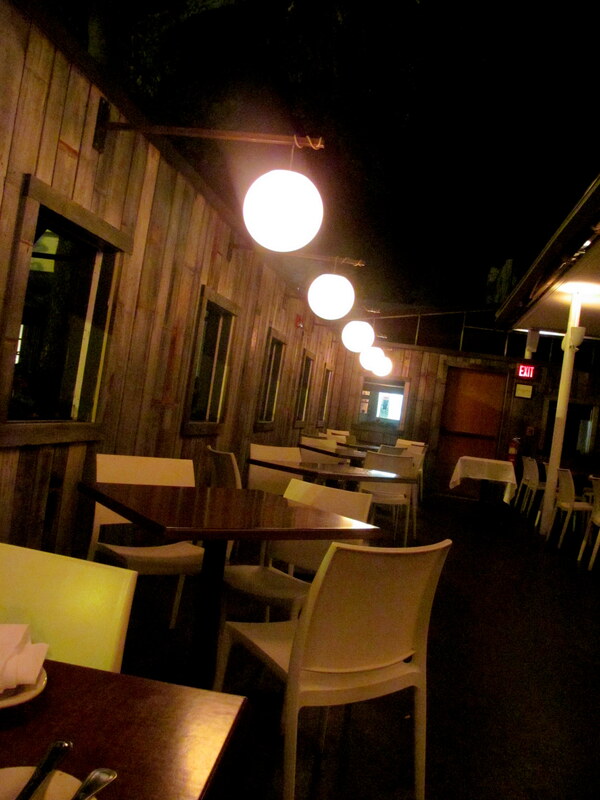 However, there’s no denying that the oysters themselves and their toppings were of the highest quality. 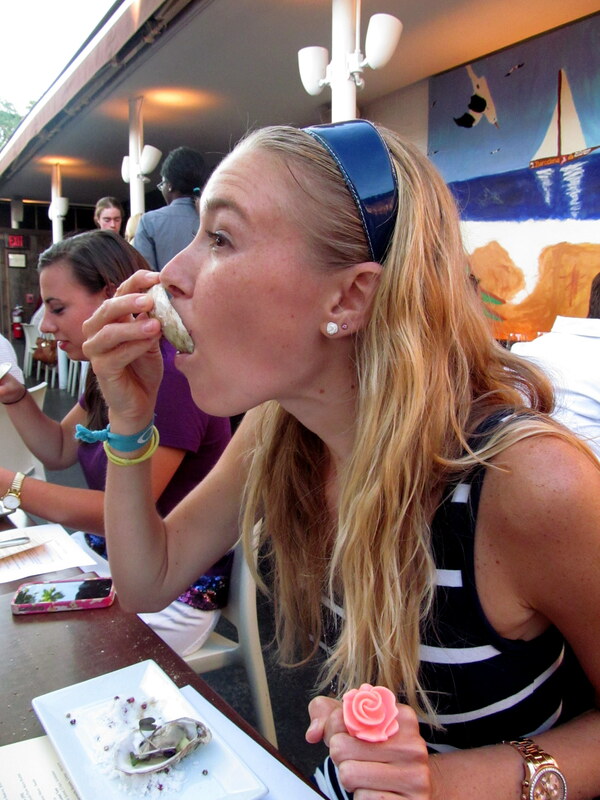 There’s also no denying that I need oyster-shooting lessons. Possibly the most inappropriate oyster-shooting technique ever. I continued to be impressed with Gretchen’s wine picks. 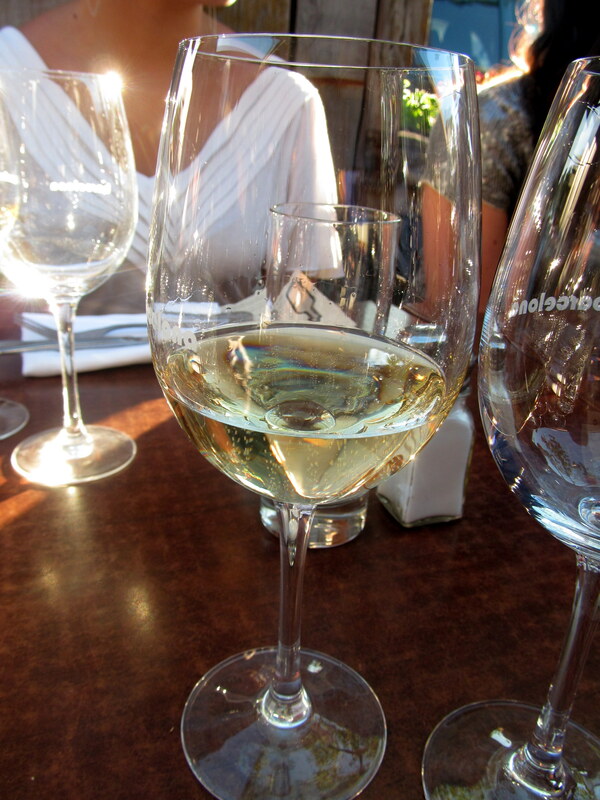 The 2011 Verdejo, Blanco Nieva – Rueda was crisp and refreshing – a perfect fit for the warm summer evening we’d been given. 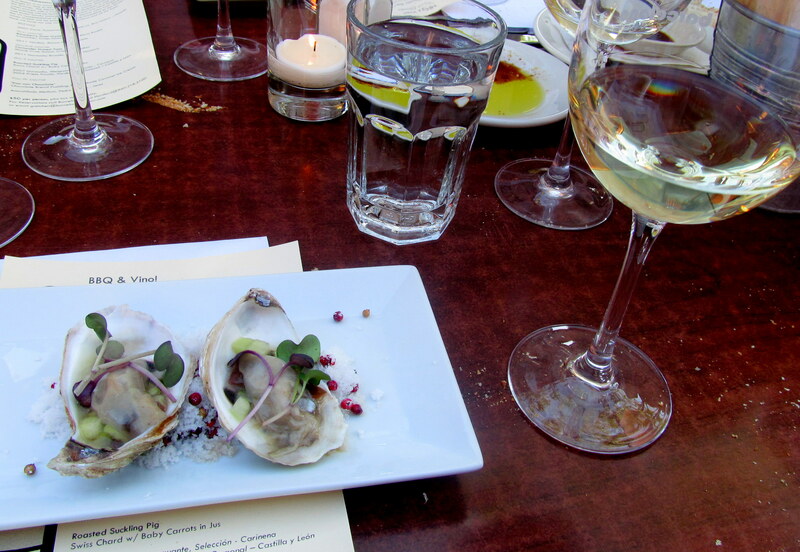 The next course was paired with what was unfortunately my least favorite wine, but some of my favorite food (SEAFOOD). 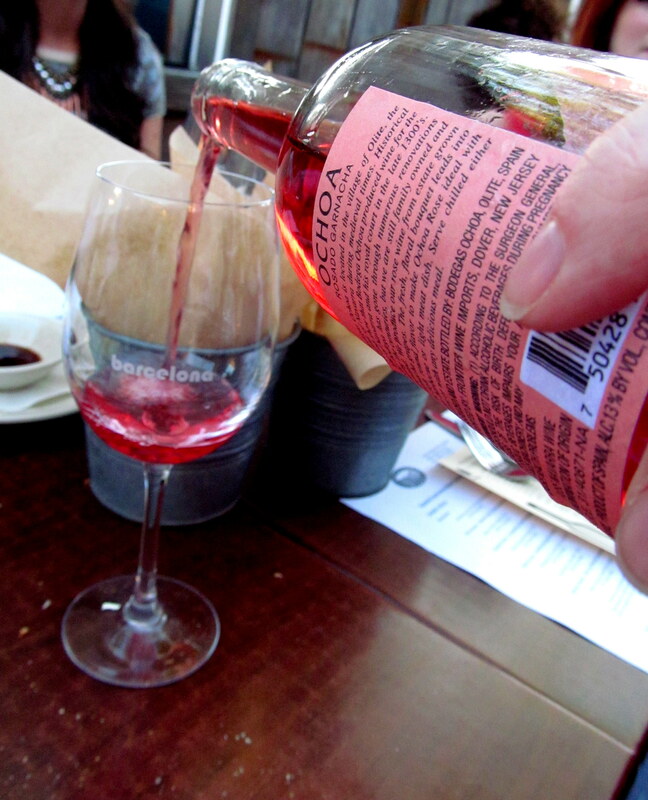 The 2011 Garnacha Rosado, Ochoa – Navarra, a rose, tasted like fruit juice to me. I am VERY picky with my roses – it’s hard for me to find one that I don’t think tastes like a mixer. I didn’t even like it much with the food. To me, the second course should have been paired with a white wine more similar to the first course’s. 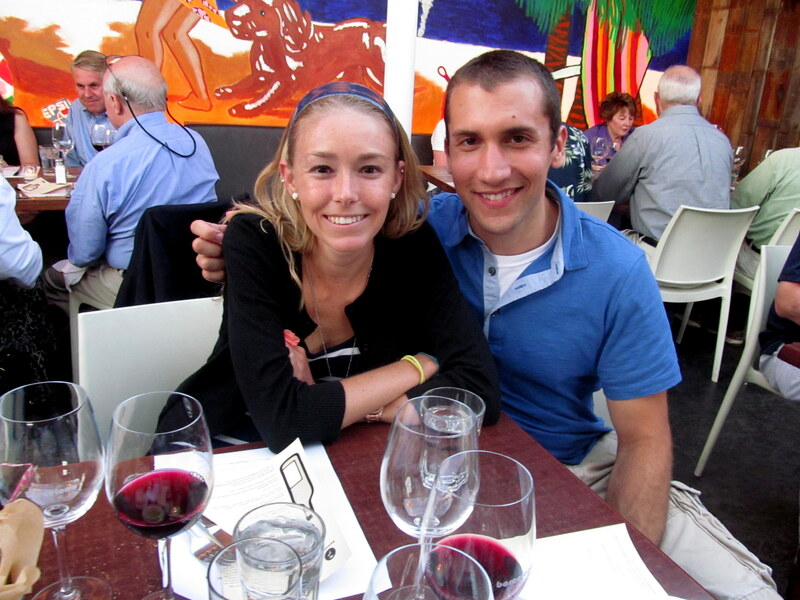 However, I can see Gretchen’s desire to showcase all different kinds of wines, roses included. 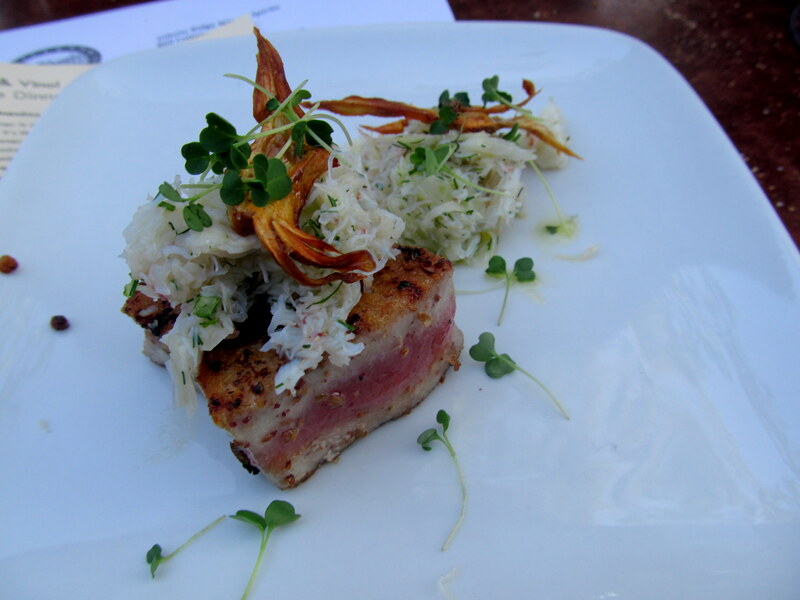 The food – coriander-dusted tuna with crispy artichokes and Maine crab salad – more than made up for the wine disappointment (Peekytoe is a variety of Atlantic rock crab). Though I now prefer my tuna to be much more rare, it was still a delicious cut of fish, and the freshness of the crab was evident in its flavor. Those crispy artichokes were a dynamite addition! I wanted this course to go on forever! The third course, AKA the main event, was paired with TWO wines! And when I found out they were both red, I immediately forgot about the rose and got ready to have my taste buds rocked off. The 2007 Garnacha, Menguante, Seleccion – Carinena and the 2008 Prieto Picudo, Pardevalles, Gamonal – Castilla y Leon were both amazing. 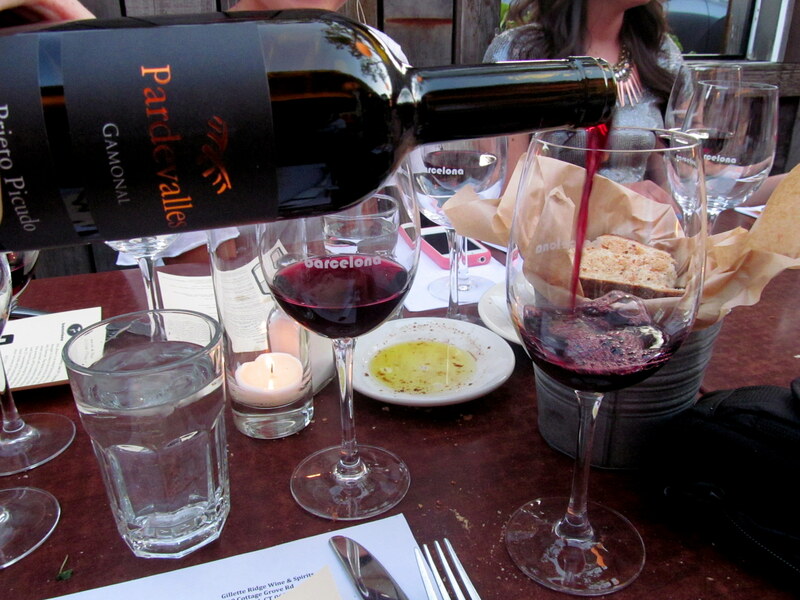 I particularly enjoyed the Pardevalles, a new-to-me red grape (I’m always excited when I find one of those). The wine had been aged in oak barrels for 8 months, and I could definitely tell. I adore a red with a good, oak-y finish. 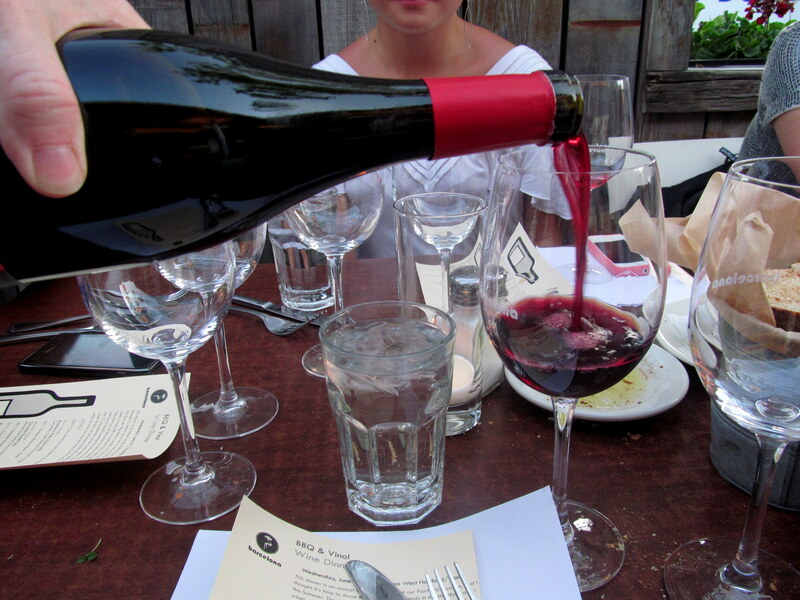 And let’s not forget the BBQ – the reason behind the naming of this wine dinner! Jason’s roasted suckling pig with frizzled mustard greens and baby carrots au jus (side note: this means “in juice”, something Wikipedia just told me) was out of this world. He did a WONDERFUL job. The crispy skin was groan-inducing and the greens had so much flavor. 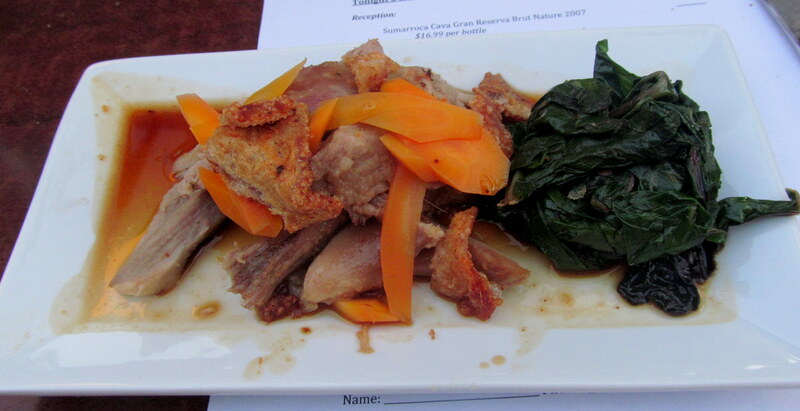 The pig practically melted in my mouth and I actually enjoyed the cooked carrots – that’s a rarity for me. Everything about the dish paired great with both reds! I think the Garnacha pairing won, but only SLIGHTLY. The oak in the Pardevalles made it a more stand-alone wine for me, while the Garnacha worked well as an accompaniment to every component of this dish. Before I knew it, the fourth course aka DESSERT was being served! I was so very excited to sample the Amontillado Medium, Pedro Romero – Jerez, a sherry. I’ve tasted a few sherries at Sonoma before, and adore how unique they are. Any heavier dessert wine like port or sherry is right up my alley. 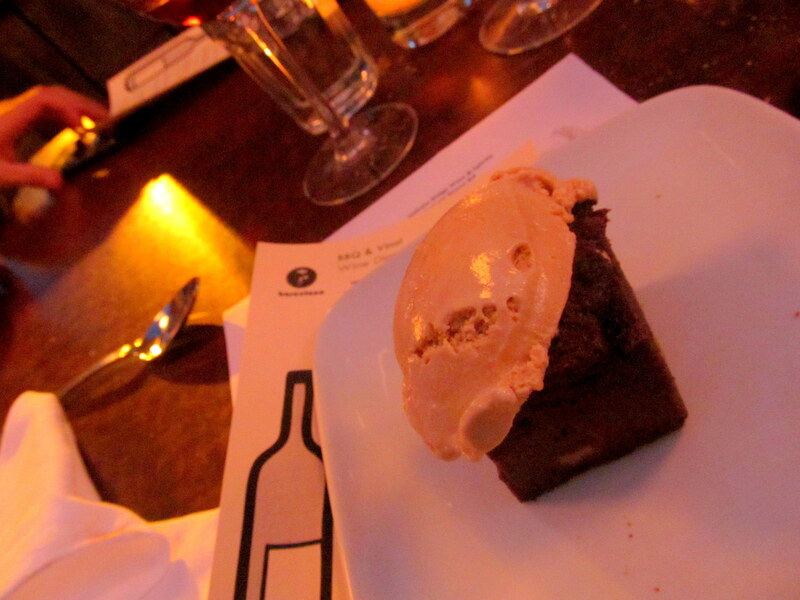 This sherry didn’t disappoint…a delightful nutty flavor that paired beautifully with the dessert. The sun goes down, the pictures get a bit worse. The above chocolate bread pudding with caramel ice cream was the stuff dreams are made of. Paired with the sherry, it was what dreams can only hope to be. The nutty, chocolatey, caramely flavors created a combination that had Jeff and I ready to lick our plates clean. And thankfully for us, my friends didn’t want their sherry. We gladly finished it off. 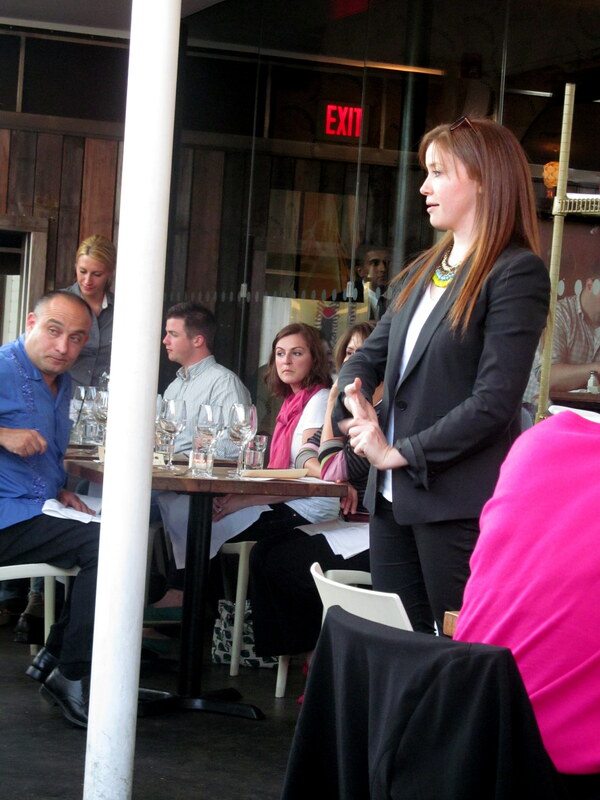 Gretchen thanked us all for coming and was on-hand to answer any wine-related questions. Jason also came out to “take a bow”. The attendees applauded his job well done! One thing that always blows me away about Barcelona is the hospitality of its staff. The Executive Chef, Adam Greenberg, is an awesome down-to-earth guy who doesn’t let his clearly huge amount of culinary talent go to his head. He is a fellow social media lover and has been known to re-tweet my Instagram adventures whenever I dine at his restaurant. Gretchen blogs for Barcelona on occasion here! The GM Jason Boske is excellent at interacting with his guests and displaying his genuine concern that they do nothing but enjoy themselves at his restaurant. Every time I come in, he greets me with a smile and a handshake; I see him display this same courtesy with every customer. After this particular meal, Jason approached me to make sure my friends and I had a good time. He also was generous enough to send us some complimentary post-dinner tapas! 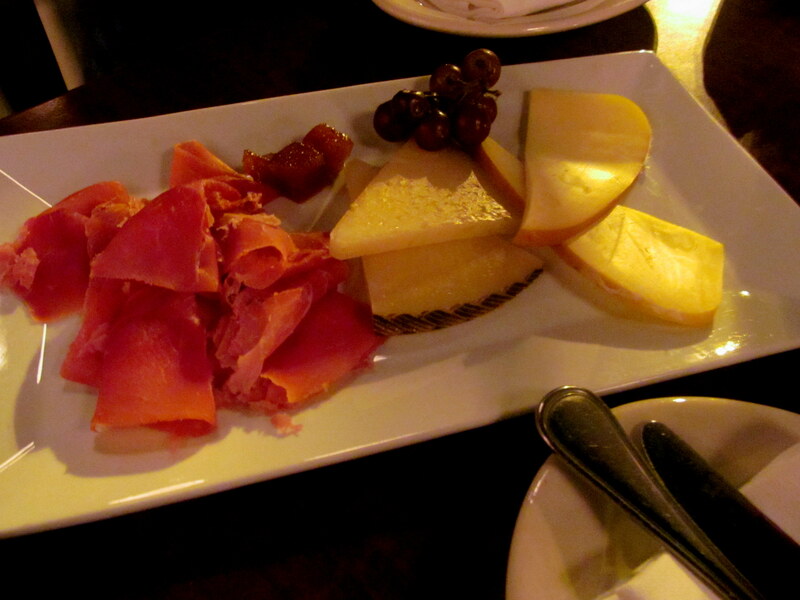 Cheese & meat plate (my true love). 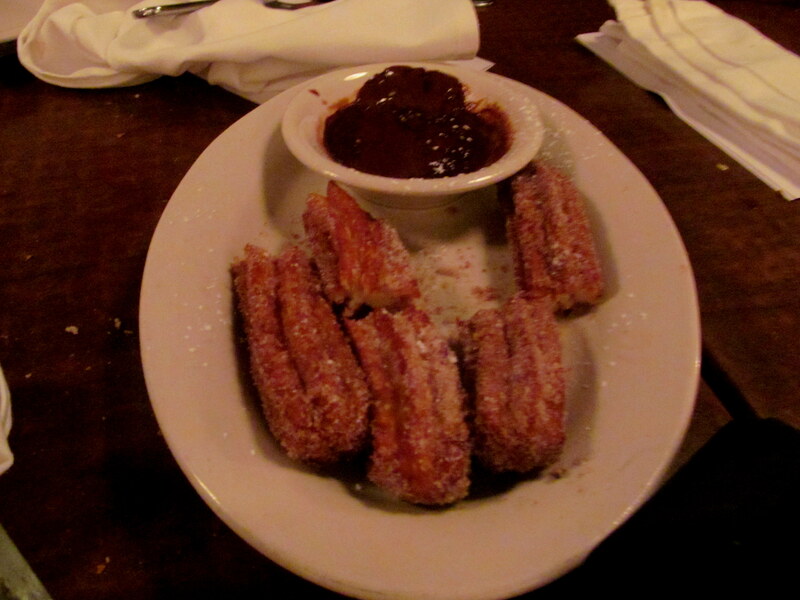 HEAVENLY churros with chocolate sauce. We also received a plate of the Crepas Salguero – dulce de leche, whipped cream, vanilla ice cream, and chocolate sauce. I was too busy eating it (and wishing I had more sherry) to take a photo. Enjoying our extra tapas on the now-empty patio was extremely relaxing and a perfect way to wind down the evening before heading home. We couldn’t have asked for a better night. 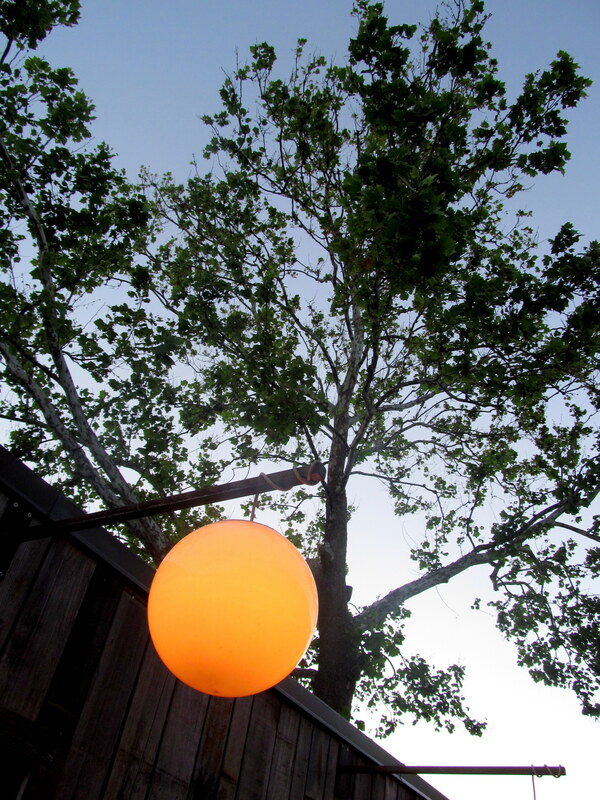 The circular lamps over each table make this patio feel so magical. Thanks to Barcelona and its staff for a fantastic night of wine and food. What more could I ask for in the summer? 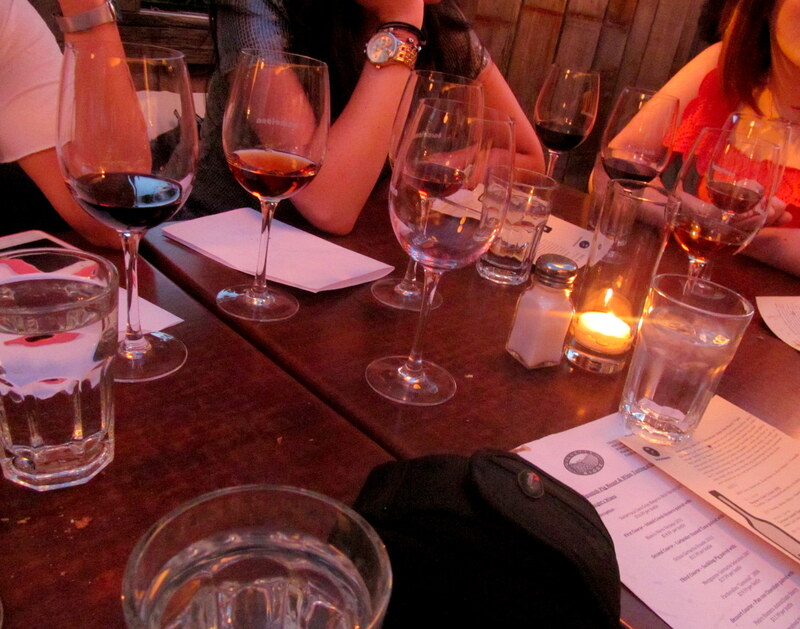 Do you enjoy heavy dessert wines like port or sherry? What’s the most impressed you’ve ever been with a restaurant’s hospitality? Which dish would you have been most interested in?